Yosegi Zaiku is traditional japanese wood parquetry craft. The craft was started over 200 years ago, during the Edo period. 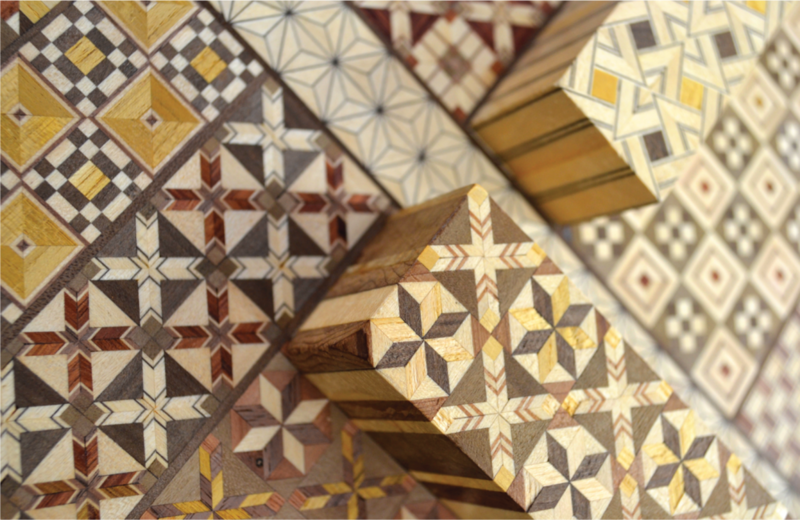 Yosegi Zaiku involves joining tiny pieces of different species of wood together to create patterns. I decided to research this craft and the craftsmen around it while studying at Tamabi, in Tokyo, Japan. The assignment was to study the habits of the craft rather than the craft itself. An example of this idea is that a craftsmen would smoke 2 cigarettes outside the shop between the glue-up of major pieces. I decided to conduct my research of the craft at it’s center, Hatajuku, Hakone. Hatajuku is the birthplace of Yosegi Zaiku due to it’s abundance of different species of trees. My first stop for research was the Yosegi Zaiku Museum in Hakone prior to meeting with the master craftsmen. At the workshops, the masters demostrated the processes of mokuzougan and yosegi zaiku, had us help out with the process, and provided us with samples of the process. I spent a total of 3 days of doing workshops, researching the local area and acquiring samples. When talking to these traditional craftsmen in Hatajuku, Hakone. They stressed that they would work in their small shops with one apprentice and one fellow craftsmen, and that their style was distinct different from the other craftsmen in the area. This craft has existed for hundreds of years solely on the obligation of the master and apprentice relationship. 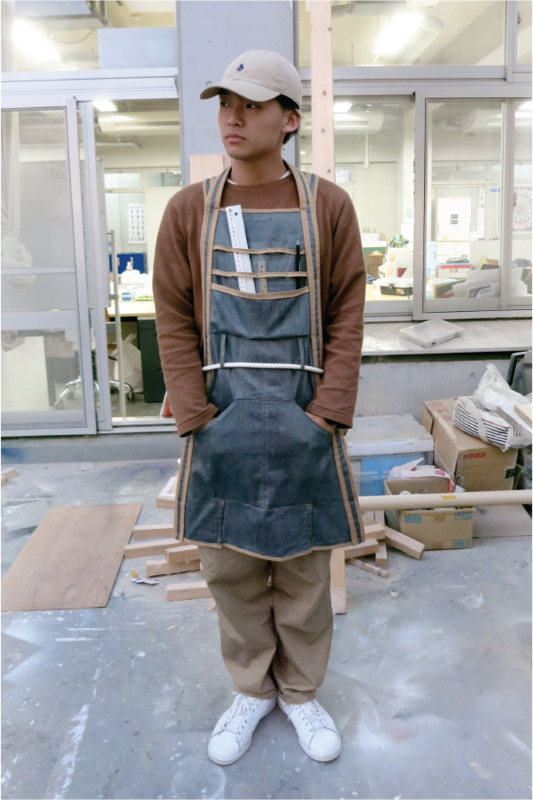 I want to create an apron that highlights the bond between master and apprentice, using familiar material from the craftsmen, and is equipped for the craftsmen tools and environment.